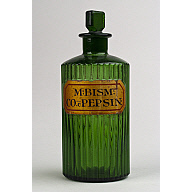 The George Shepherd Pharmaceutical Collection consists of a virtually complete Victorian pharmacy interior and business archive unique in the UK. 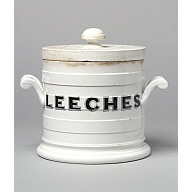 The collection was donated to Aberdeen Art Gallery and Museums by George Shepherd, one of the last directors of the successful Aberdeen pharmacy business Davidson & Kay. 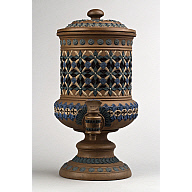 The collection has impressive examples of the most iconic objects of the nineteenth century pharmacy, including carboys, specie jars and ceramic storage jars. 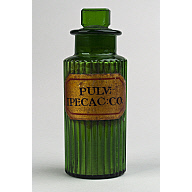 Such objects were highly decorative as well as functional and many were displayed in the pharmacy shop window. 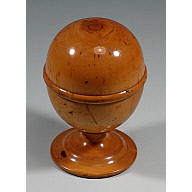 There is an extensive variety of medicinal storage vessels called 'shop rounds' many of which have original liquid, powder or pastille content. Bottles which contained harmful poisons needed to be distinct from the others and are recognised by the green glass and vertical ribbing which alerted the pharmacist to the hazardous content as he selected the bottle from a shelf. 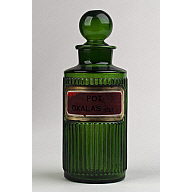 An important aspect of the collection is equipment which was used by pharmacists to manufacture their own medicines prior to the commercialisation of healthcare. 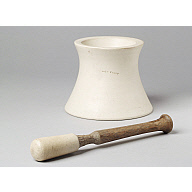 Pill-making equipment includes mortar and pestles, a marble pill cutter and a pill silverer which coated pills in silver leaf for the wealthiest of customers! 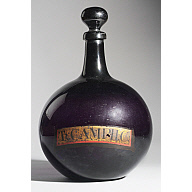 The business archive includes prescription records, poison registers and apprentice log books all of which provide an important insight into the history of pharmacy in Aberdeen and are recognised as being of national as well as local importance. Found 85 Results. Showing records 1 to 12. Page 1 of 8.